The Laguna branch of the American Association of University Women invites the public to hear Jessica Hubbard, director of programs for the nonprofit organization Girls Inc. Orange County from 10 a.m. to noon, Saturday, Feb. 2, at the Susi Q Community Center, 380 Third Street. 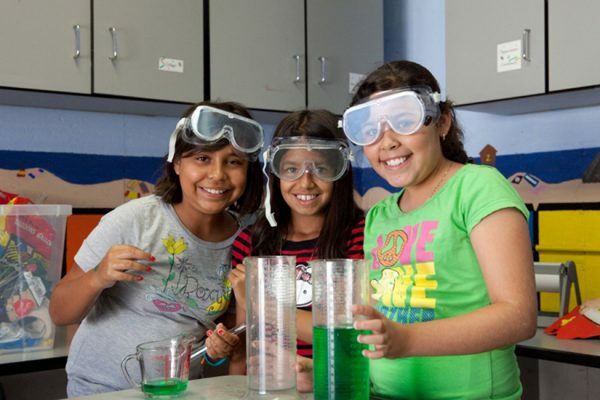 She will discuss a number of their programs, especially their Eurekas programs, designed to help girls and young women overcome the barriers to entry into high paying STEM (science technology, engineering and math) jobs. The talk will also include comments from an alumna of Girls Inc. College Bound program. The event and parking are both free. Refreshments will be served. Those joining AAUW-LB at this presentation will receive a discounted membership fee.For membership information, please contact membership co-chairs Leah Vasquez 949-494-5787 or Rachelle Cano 818-307-7562, or visit AAUW-Laguna Beach online at www.aauw2-lagunabeach.org. 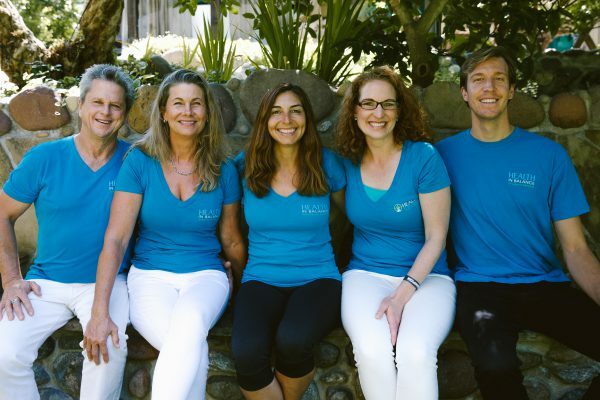 The Laguna Ocean Foundation is currently seeking volunteer tide pool docents to educate the public about the unique ecology in Laguna’s protected tide pools. Docents are required to be at least 18 years of age and volunteer at the tide pools at least one monthly three-hour shift at Crescent Bay, Shaws Cove, Woods Cove or Goff Cove, all within the Laguna Beach Marine Protected Area. To sign up for the program or for further information, contact Suzanne Welsh, Tidewater Docent Coordinator, at [email protected] or 949-522-5187. Edwards Lifesciences Foundation which supports programs designed to treat underserved people to reduce heart valve disease, donated robots made from recycled toys, bottles and other household items to The Boys and Girls Club to reinforce the science, technology, engineering and math programs at all three clubs in Laguna Beach. “These robots helped our members look at common, everyday items in a new way and taught them to see how old things can be repurposed into something new,” said Greg Bridgeman, Canyon branch program director. The chiropractic clinic, Health in Balance, 330 Park Avenue, will hold a community appreciation day from noon to 6 p.m. on Friday, Feb. 8. Complimentary chiropractic adjustments, therapy massage treatments, vitamin B-12 shots and consultations for new patients will be offered. Information on mind-body health practices, stem cell therapy, weight loss, allergy testing and nutrition and immunity practices will also be available. A raffle and goodie bags complement the day. Schedule a treatment time at www.healthinbalance.com/events-1/community-appreciation-day-feb-2019 or call 949-497-2553. Walk-ins also welcome. 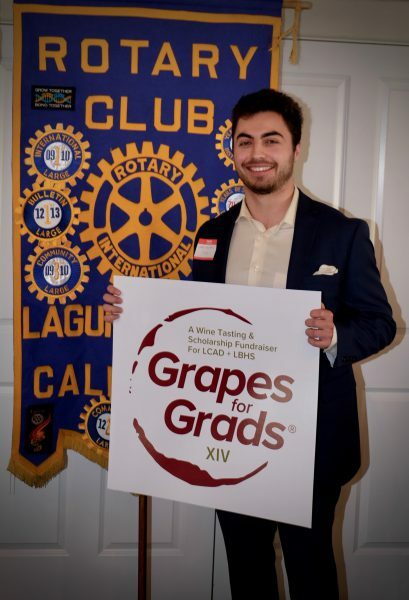 The Rotary Club of Laguna Beach awarded $500 to this year’s Grapes for Grads® logo designer, Chris Kalafatis. Chris is a senior, studying Graphic Design + Digital Media at Laguna College of Art + Design. Kalafatis’ design will be printed on all of the event promotional materials including flyers, print ads, and event signs. Each year, a student artist from LCAD is selected to create the Grapes for Grads logo. The Rotary Club of Laguna Beach is proud to host the 14th annual wine tasting event and fundraiser on Sunday, April 28. Grapes for Grads® raises scholarship funds for graduating seniors from Laguna Beach High School and students attending Laguna College of Art +Design. The event will be held at the newly remodeled Festival of Arts grounds. For more information about sponsorship, advertising opportunities, the silent auction, or ticket purchases, visit www.GrapesForGrads.com. 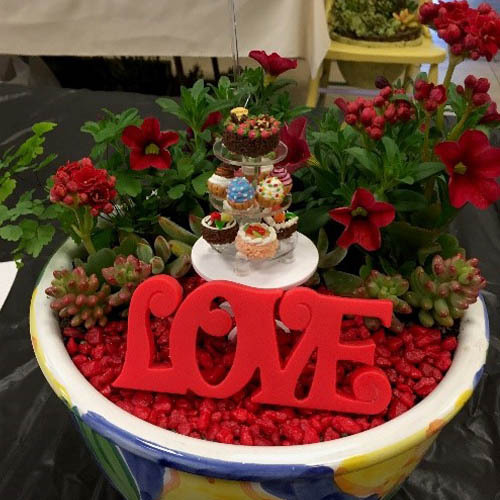 At the Laguna Beach Garden Club’s Friday, Feb. 8 meeting, an annual fundraiser, Container Gardens & Garden Art Silent Auction, will take place at 9:30 am. Unique arrangements of all colors and sizes will be on display for all to bid on at all price points. Proceeds will go toward educational school gardens, local scholarships and civic beautification. The Laguna Beach Garden Club financially supports school gardens at El Morro and Top of the World Elementary Schools, Thurston Middle School, Laguna Beach Presbyterian Pre-School, and Anneliese Willowbrook Campus. The Laguna Beach Garden Club Inc. meets on the second Friday of every month, September through May, at the Laguna Presbyterian Church, 415 Forest Avenue. The public is welcome, and there is no charge for guests on their first visit. For more information about the auction, contact Diane Lannon at [email protected] For more information on the garden club, visitwww.lagunabeachgardenclub.org.